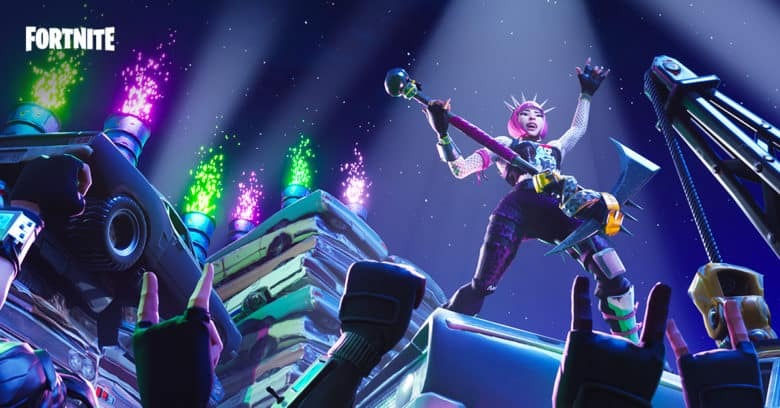 Fortnite's next update will make Battle Royale sound even better. We’re just one day away from another round of challenges in Fortnite Battle Royale. But you don’t have to wait to find out what you’ll be doing this week, because week four’s challenges for season five have leaked out early. Here’s how you’ll earn another 50 Battle Stars. Epic rolls out big Fortnite updates every week to ensure Battle Royale never gets boring, but that’s not the only reason to keep playing. If you buy the Battle Pass — and you should — then you’ll also want to keep returning for the weekly challenges that let you rack up precious Battle Stars. As always, there will be seven challenges this week, with a total of 50 Battle Stars up for grabs. Three of them are available to all, while the other four are for Battle Pass buyers. This week’s challenges don’t seem too difficult, though some players might find pistol eliminations tricky, while jumping through hoops is likely to take time. But they’ll be worth it when you unlock the sweet rewards Epic throws into the Battle Pass. These challenges will be available in-game tomorrow. We’ll publish our challenge guide soon after as normal, offering some tips on the best ways to complete each one. And if you’re yet to complete the previous challenges, check out our guides for week one, week two, and week three.